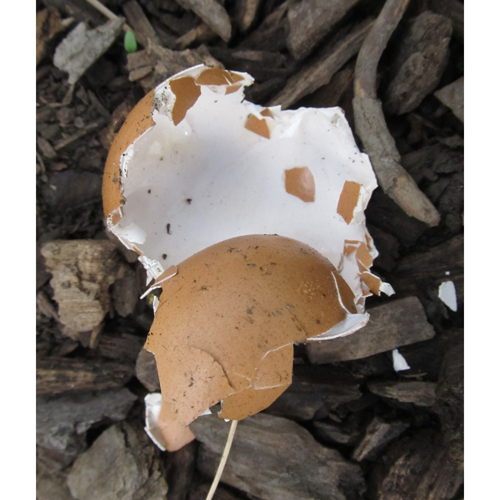 Egg shell remnants left after a stoat has eaten it. Photographed at a Lincoln University facility where stoats are held for captive research. Note the serrated edges to the shell fragments.